The Mommy Project | Ep. 09- how to stay close to friends as seasons of life change, plus workplace friends, a Big Brother slip and Beach reads for Hayley. 14 Aug Ep. 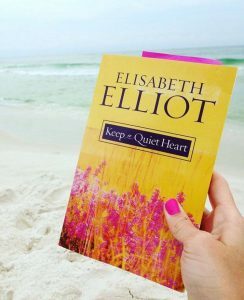 09- how to stay close to friends as seasons of life change, plus workplace friends, a Big Brother slip and Beach reads for Hayley. Kimberley is joined today with Hayley Gaston- a 20-something high school and Jr High school girls minister, and worked as a team event planner for Lifeway and Beth Moore. We discuss college friends, workplace ratios with men and women, and why women struggle to make connection with others not in their season of life. this is just a short list of the barriers which keep people in their comfort zone…aka.. lonely state. Beat the typical- and try to meet people where they are at, widen your circle by disregarding seasons, and get curious, creative and inventive. Fierce Conversations – How to get your voice heard. Lower expectations for new friendships. Schedule time to meet or communicate with your friends. 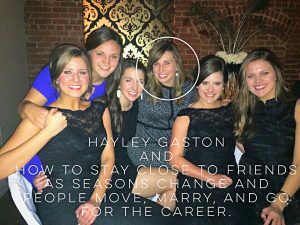 Like Hayley mentioned- schedule a Skype or telephone call with a long-distance friend. be willing to truly share life… get vulnerable! Friendships require commitment, communication and time spent together to be cultivated or remain close. Tell us how you stay close to your friends as the years and seasons of life change? Leave a comment on Instagram or twitter.